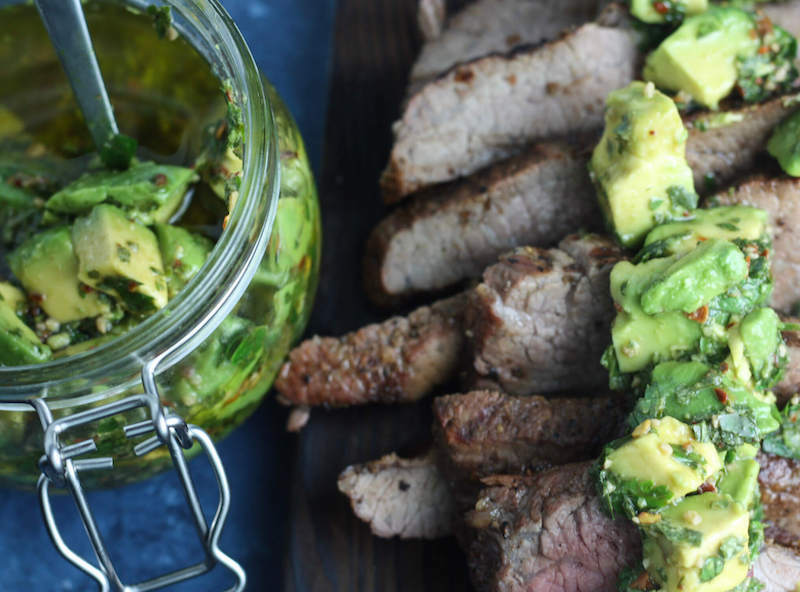 A quick and easy condiment, this Avocado Chimichurri recipe deserves to go on anything and everything! 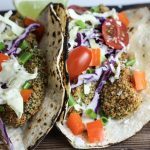 It’s particularly delicious on grilled meats and vegetables but is equally good on things like eggs, tacos, etc. Keto, paleo, low carb friendly. 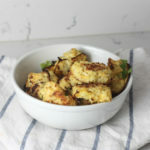 On this here day of love, I thought I would share a recipe in honor of something I love very much. Something that I try to enjoy at least once a day, that fills me with joy and… healthy fats. Of course I’m talking about Avocado. Avocado is definitely one of my favorite foods. 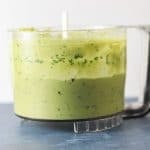 It’s so versatile, you can put it on or in practically anything and it’s got alllll the healthy fats you could hope for. So ya, it’s definitely up there on my list of great foods. 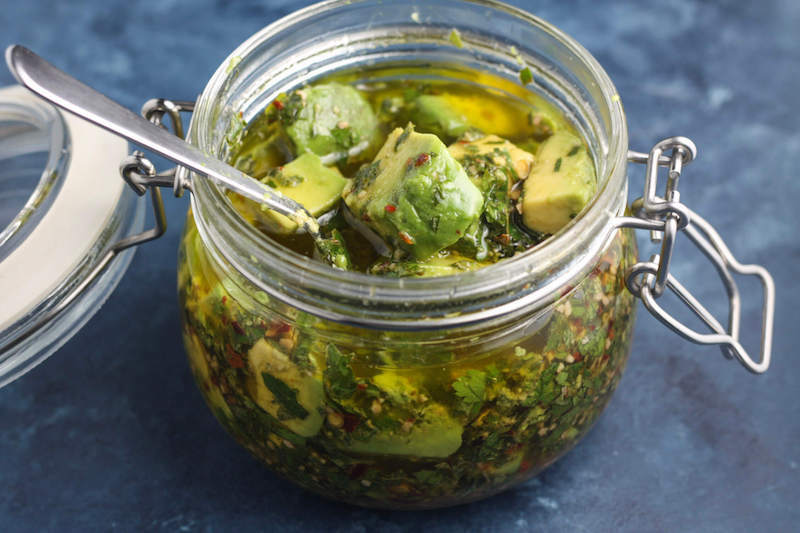 I try in a lot of different recipes and in a lot of different ways and this has actually become one of my favorite ways to have it: Avocado Chimichurri. 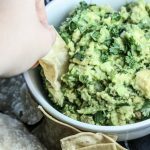 Aside from this being delicious from the Avocado (duh! 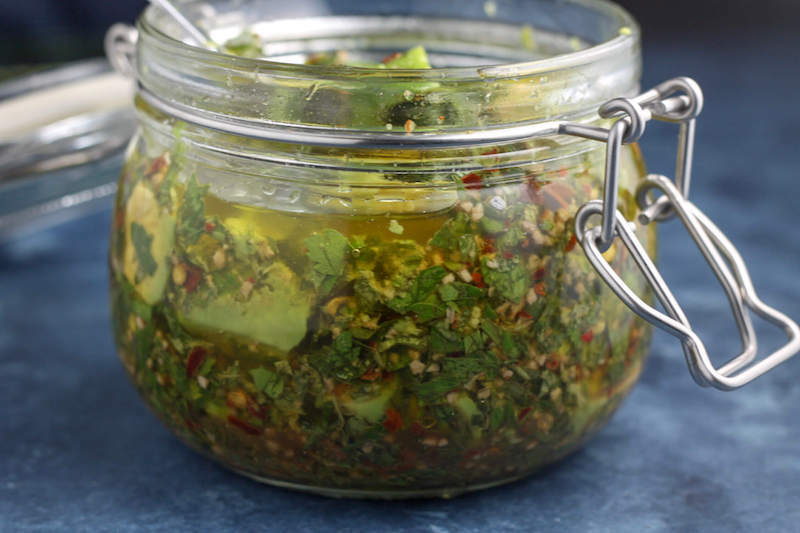 ), it’s also delicious because Chimichurri adds wonderful flavor to any dish it’s put on. This sauce/meal topper comes in so clutch and you can (and definitely should) put it on anything and everything in your life starting immediately. Hey, I’m just looking out for you. I got you boo. I love to put this on steak or tri tip, fish, even eggs or on burritos. Just trust me, it’s good on everything. Everything! 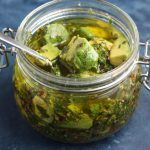 A quick and easy condiment, this Avocado Chimichurri recipe deserves to go on anything and everything! It's particularly delicious on grilled meats and vegetables but is equally good on things like eggs, tacos, etc. 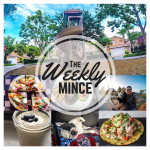 Keto, paleo, low carb friendly. 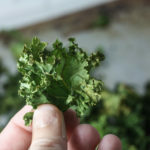 To make Chimichurri: combine cilantro, parsley, oregano, red pepper flakes, garlic in a food processor. Chop until small and well combined. Add in red wine vinegar and olive oil. Season with salt and pepper. Refrigerate for at least 2 hours before using. When you're going to serve, add in chopped Avocado.